Tight deadlines, frequent trips, small workspaces to place your cosmetic products and accessories: for every professional makeup artist these issues are everyday problems to deal with. Transport and organise at best the equipment is such a central matter for this professional category! Taking advantage of the professional makeup artist’s experience and aiming to solve their problems, Cantoni engineered and created Highbox, a lightweight trolley makeup bag with compartments and trays and a lot of space in the upper part to insert the bulky equipment. 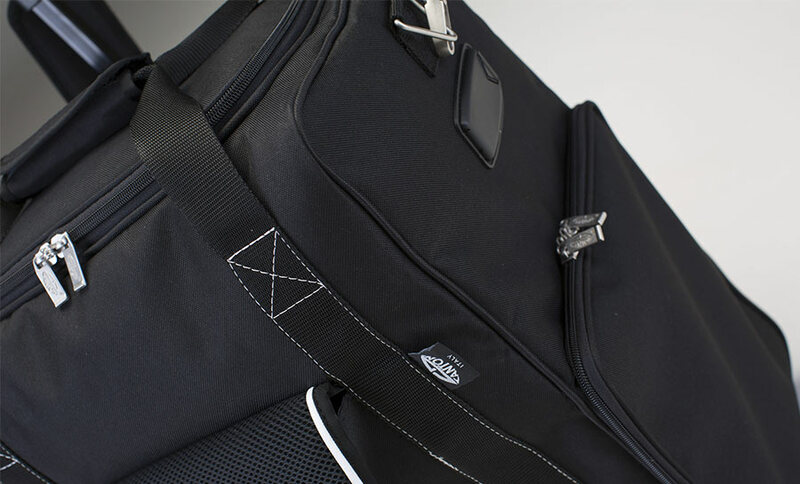 Sturdy and thermal, you can also personalise it with your name or logo. Matching and stackable with other makeup bags of the Cantoni range, is the best professional makeup trolley bag to carry your cosmetic equipment everywhere. Which is the best makeup trolley bag? Makeup Artists and beauty specialists use makeup bags of all kinds. All of them, however, are always looking for improving solutions and, advancing in their career, they become aware that they need professional equipment, ensuring cleaning, practicality, and protection of materials and, last but not least, a high-profile image. Pull-out trays: you can place them on the tabletop to use your cosmetics and equipment without taking them out from the bag. Your work will be more hygienic, the equipment protected, you will need a smaller workspace and store them again will be simple. Large and convenient upper part: to “put away” the massive equipment or to store the things at the last second. Personalisable: because the visibility and the brand awareness are very important for every professional makeup artist. 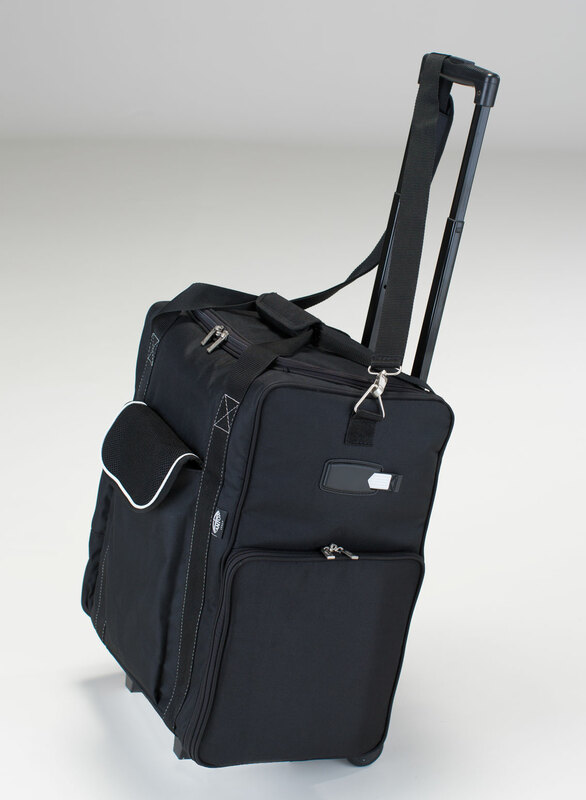 Lightweight and sturdy: it weights only 5 Kgs, that is and a lot less of the trolley bag electrician-like. Elegant: discreet, black anti-scratch lightweight synthetic padded material, suited to professional makeup artist image. Increasable space: if you need more space,you can simply match the BB2 beauty case Cantoni and fix it to the Highbox trolley with the special rear band. Train cases: very heavy overall, they don’t offer any spare part nor customer care nor personalisation service. They have a lot of compartments and little drawers that can be appealing, but, once full, these train cases become so heavy you can’t move them anymore. They appear modular like, but, they are not, because, if you want to carry them by trolley, you have to set up all of their elements. Beauty bags ‘on hand’: very uncomfortable if you have to carry them a lot on the go. 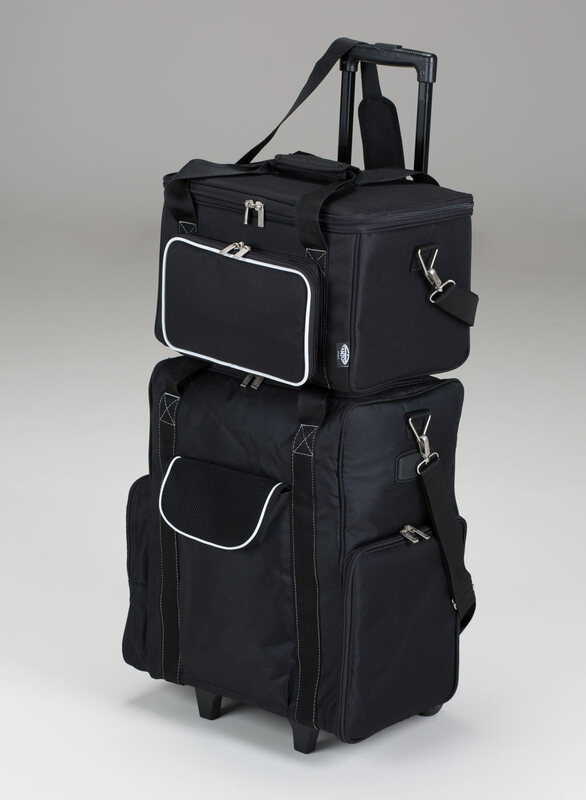 Standard trolley cases: who tried this solution knows better how it is uncomfortable, difficult to put and maintain in order: scattered cosmetics, additional costs for pochettes and boxes to store the products inside, heavy, cumbersome, floor-height. Trolley vanity case on wheels with lights: Cantoni is the lead brand for this kind of product. It is very important to know that this is not an alternative to the makeup bag for the transport of makeup products. The makeup case with lights, in fact, it is not a true “case” for cosmetics and makeup equipment, as, for example, the Highbox makeup trolley bag, but a true mobile makeup station. How much do you have to pay for your makeup trolley bag? The Highbox price is proper for professional equipment. The raw material is top quality, the attention to detail and the handcrafted production have a cost. Anyway, this trolley makeup bag has been created by Cantoni to be affordable for anyone. You can purchase the Highbox makeup case with trolley directly from the factory placing an order on the official e-commerce Cantoni and get it in few days. You can also choose to personalise the makeup box with name or logo. If you prefer, you can also send us your request for a quote. This is what I needed. I wish I could order it. Really love this.